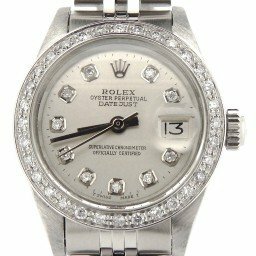 BeckerTime’s a Trusted Name: When you shop our used Rolex at low prices online, you’ll find that we’re a family-owned and operated business. We care about our customers and offer them a safe, secure online experience. 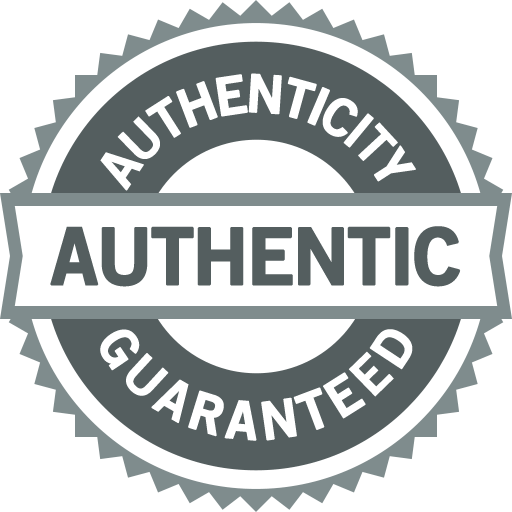 We also guarantee the authenticity of our watches. This is because our Rolex Experts and Rolex Certified Master Watchmakers thoroughly examine and authenticate each Rolex watch. As a result, we’ve earned an A+BBB rating selling pre owned Rolex watches online — for over 20 years. It’s no wonder that our consistent positive reviews demonstrate that BeckerTime has affordable Rolex prices, excellent selection, and exceptional customer service to help you find your perfect watch. 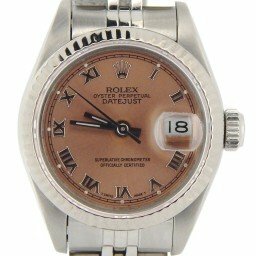 Why Buy Used Rolex Watches Online? Rolex Prices: You can save up to 70% when you buy a pre owned Rolex watch you love from the comfort and convenience of your home. And, when you buy Rolex watches online, you simply get all the quality, all the prestige, and all the luxury, but at much more affordable Rolex prices. View Rolex Retail Prices over time from 2012. Investment Potential: We know that vintage and previously owned Rolex watches over time can retain their value for many years. In some cases, they can increase in value over generations. 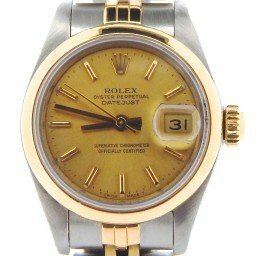 Therefore, when you consider a long-term investment, buying a vintage or pre owned Rolex is a much smarter way to get a quality Rolex timepiece with significant value. Exclusivity Factor: Do you love the vintage Rolex classics and limited editions? If so, then buying a Rolex watch online is a great way to get your hands on a watch you may never be able to buy brand new. Rolex was founded by Hans Wilsdorf in 1905. Its rich history revolves around the passion of one man who drove the Company to greatness. The brand cultivated a reputation that is synonymous with quality, prestige, and performance. This is why pre loved Rolex watches and vintage timepieces maintain strong intrinsic value, as well as function. To buy a used Rolex online with BeckerTime, browse our huge selection of authentic Rolex watches. Then, simply select your style. Or, let our expert staff help make that ultimate difference for you. In the world of luxury watches, there’s Rolex and there’s everyone else. Rolex is perhaps the most universally recognizable emblem of success and achievement. A Rolex, whether it’s a used Rolex or brand new, represents more than just a fine timepiece. It’s honed and perfected over a production run that often stretches into decades. Ultimately, it symbolizes a defining moment in the life of the wearer. It marks the point in your journey where your aspirations became a reality, and your goals, or at least some of them, were reached. It then joins you as a constant companion, a chapter in your story, accompanying you on to ever greater accomplishments. The reputation the brand has painstakingly nurtured over its century in existence has been built on the back of exceptional products. These luxury timepieces are created with an almost fanatical attention to detail. It is this level of meticulousness that assures a Rolex lasts not just a lifetime, but several, as it is handed down as an heirloom to subsequent generations. When you buy Rolex watches online at BeckerTime, you’ll find that they are the product of progressive and pioneering advancements in technology, which have always been a mainstay of Rolex. It keeps their watches at the forefront of what is possible, with each new innovation focused solely on bettering the performance of what has come before. Running alongside a faultless reliability is the overriding Rolex styling ethos of evolution rather than revolution. The brand’s catalog is filled with watches whose visible lineage can be traced back to the original model, sometimes 50 or 60 years ago in the dim and distant past. Rather than looking dated or old fashioned, they are the designs often imitated but never surpassed, such as the Rolex Datejust or perhaps the legendary dive watches being the most evident cases. Take a look at the offerings of virtually every other watch manufacturer and you will find a Rolex Submariner by another name. Whether you buy a Rolex online as a long-coveted favorite for yourself to celebrate a career or personal milestone, or receive one as a gift to commemorate a graduation or as thanks for a job well done, taking ownership of a Rolex watch is a very special occasion. 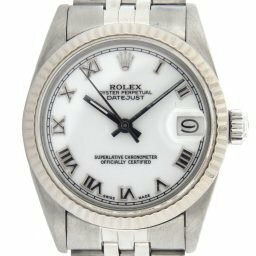 Let’s look at some of the benefits of buying a Rolex watch online, whether it’s your first, or next preowned Rolex purchase. Let’s get the money aspect out of the way first. A brand new Rolex, like a brand new anything, is subject to depreciation once it goes from being ‘new’ to being ‘used’. And, much like buying a new car, that transformation occurs the second you leave the store with it. Being the first owner of a Rolex lands that big financial burden squarely on your shoulders, which can be a bitter pill to swallow. However, it is great news for those that follow. Once that initial hit is out of the way, buying the watch as a pre owned piece comes with a sizeable drop in price. But, here’s where Rolex is different. Unlike a car, whose value drops off a fiscal cliff the moment you drive it out of the showroom and then keeps dropping until it is essentially worthless, there is a definite glass floor beyond which the price of a Rolex will not fall. Eventually it levels off, meaning selling the watch again in the future leaves you with much less of a sting. If you can buy a model today and sell it in 10 year’s time for around the same amount as you paid for it, you have been wearing one of the most desirable watch brands in the world for a decade for free. Rolex is one of the few watch manufacturers—in fact, one of the very few manufacturers of any luxury item, whose products retain their worth so well over the years. That alone would be enough to set them apart from their legions of competitors. Yet, under certain circumstances, they are able to do even better. At Beckertime, we have always made it our mission to try and dispel the myth that Rolex is expensive. While the initial layout might seem high, many of the brand’s models actually appreciate in value over time, making them the ideal purchase not just of enthusiasts and collectors, but of those looking for one of the soundest investments to be had. Rather than being a frivolous indulgence, your watch now becomes an asset. And, retaining it is akin to waiting for a fund to mature. Some pieces, of course, perform better than others as investments, and for a number of reasons. As a series is updated, for example, and a new model replaces its predecessor, the older watch instantly becomes more desirable as the end of its production run means a finite number remain in circulation. With no more being made, it gains an inherent rarity value that only increases as time goes on. A model range being discontinued completely has an even greater effect. When the venerable Day-Date, or Rolex President watch, received a major facelift in 2008, ballooning from its age-old 36mm case to a much more substantial 41mm and becoming the Day-Date II in the process, initial reaction was mixed. Produced concurrently beside the classic series for just a few years until it was withdrawn in 2015, its short production run makes it an evermore sought after piece on the pre owned Rolex market. Hand in hand with the financial advantages we looked at above, the increase in purchasing power that comes with lower buy-in Rolex prices opens up doors to options that would have remained otherwise closed. The pre owned market brings a wider world of more exotic pieces within reach, watches that would have been left inaccessible if you had set your heart on only buying a brand new example off the shelf. Precious metals in the construction rather than steel, perhaps gemstone-set hour markers are all important differences that add to the watch’s desirability and safeguard its long-term value. As well as that, instead of being restricted to just the models Rolex is currently making, you now have your choice of an archive of watches that stretches back over generations. We all have that one particular reference we’ve coveted for as long as we can remember. But the chances are it is not being produced anymore. Tracking it down as a vintage buy is now the only chance to secure it. Another, often overlooked, benefit to buying a used Rolex is the exclusivity factor. While anyone with the necessary finances behind them can walk into a boutique and come away with any new watch of their choosing (with the possible exception of a steel Chronograph Daytona, in which case you might have more chance of being struck by lightning), it takes just that little bit more work to find the perfect vintage piece. The extra effort tends to separate the true brand devotees from those who just want to wear a Rolex for its own sake. Also, it makes it that much more unlikely you will meet anyone with a matching wrist. The further back you go to find your personal favorite, the more distinctive each model becomes. Time has a way of giving watches a unique character. Before the recent invention of their proprietary ceramic material Cerachrom, Rolex bezels faded with age, each displaying its own particular personality. Couple that with dials that change color over the years. For instance, the white faces turning a rich cream, black dials oxidizing and paling, first to grey and then to brown. And now you end up with a watch that looks unlike any other one out there. No two Rolexes live the same life, so no two will be left with the same appearance. Scratches on acrylic crystals, patina on luminescent markers and general scuffs and scrapes on cases and bracelets, in fact anything that speaks of the watch’s individual story, sets the piece apart and gives it an unreplicable allure. One of the most visible differences between contemporary and classic watches is in their relative size. Recent years has seen a demand for pieces with far larger dimensions than any that have come previously. Whereas vintage Rolexes rarely exceeded 40mm in diameter, with the earliest examples seldom more than 38mm, today the brand has adopted, albeit reluctantly, the modern trend for what would have been considered oversized just a decade ago. So, the Yacht-Master II released in 2007 weighs in at 44mm. However, the Sky-Dweller, their latest all-new creation, is only 1mm behind. Even the Datejust, by far their longest serving creation and one of the most iconic watches of all time, is now available in a once unthinkable 41mm. It is all evidence of how well Rolex moves with the times while still paying tribute to their own heritage, but leaves those who prefer smaller watches with less choice amongst the brand new models. On the used Rolex market, however, these more modestly sized pieces are easy to find and, interestingly, have attracted a new audience. 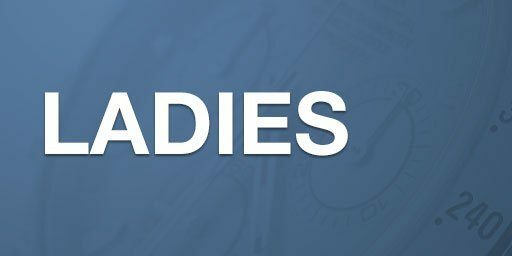 While men have started to view a 36mm or 38mm Rolex as too small for their tastes, more and more women have taken to wearing them in place of the traditional ladies size watches, the truly diminutive 28mm or even smaller. So, undersized on a male wrist satisfies the current fashion for oversized watches on a female. As well as the sheer amount of choice the used Rolex market offers in the way of vintage and discontinued models, it also often has the advantage of being the only place you can find the most in-demand stock of the very latest pieces. That steel Daytona we looked at earlier, for example, is about as common as a unicorn if you were looking to buy one new from an Authorized Dealer, with Rolex reportedly only giving each of its network of agents one, or a maximum of two, to sell annually. Unless you want to join the back of a waitlist that could be five years long, tracking down a used, unworn example is your only option. Along with the financial benefits and the huge array of choice, one of the greatest strengths of the used Rolex market is in its convenience. 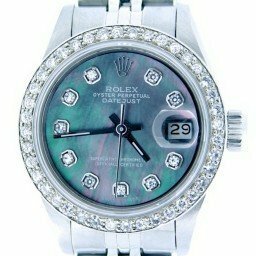 Neither Rolex, nor their chain of Authorized Dealers, sell watches online, meaning that if you want to buy a brand new model, you will need to visit one of their accredited stores. It is a deliberate move on the brand’s part to further differentiate themselves from their competition, and turn the purchasing of one of their watches into an event. However, while walking into one of Rolex’s boutiques is indeed a special experience, they are subject to the same drawbacks as any other retailer. The company lays down some iron-fisted rules concerning how much discount their dealers are allowed to offer to customers looking for a new watch; as in none. Trying to negotiate on price in an official store is an exercise in futility. Even putting price to one side, there is no guarantee that the piece you had your heart set on will be in stock, reducing your trip into a frustrating waste of time. Shopping online is by far the most convenient way to secure yourself the exact model you were looking for. It gives you the opportunity to browse at your leisure, at a time that suits you, and without a salesman hovering in the background or trying to push you towards an unsuitable selection in their eagerness to make a sale. 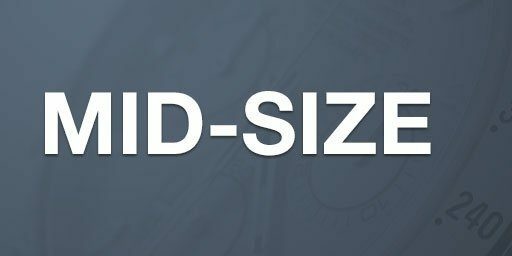 Also, where a brick and mortar store is limited by its physical size in how much inventory it can display, online retailers have an infinite amount of space to show off each and every model they have in stock. And best of all, you get your Rolex delivered directly to you, without having to fight traffic or travel any further than your front door. 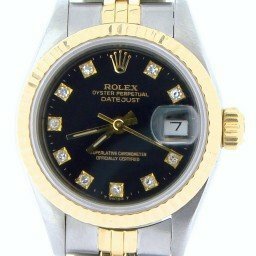 Try a quick search for ‘pre owned Rolex’ and you will quickly see there are no shortage of options available to you. Luxury watch collecting is now a multi-billion dollar industry that is only getting stronger with each passing year, and Rolex commands the lion’s share of the market. Unfortunately, not all online platforms are created equal. As with anything where great potential profits are concerned, the pre owned watch business has attracted its share of unscrupulous characters. The price Rolex has had to pay for its overwhelming success is to become the most counterfeited watch brand in the world. It is estimated there are now more fakes in circulation than the real thing. While these replicas used to be embarrassingly easy to spot, modern advances in laser-cutting technology and improved printing methods have made the current wave of imitations almost impossible to tell apart from the authentic item. 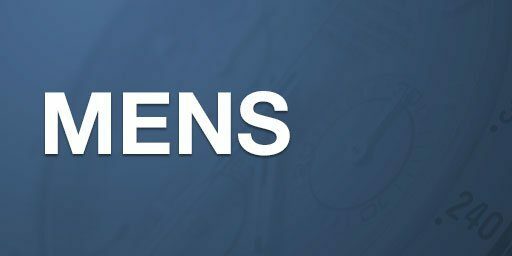 It is this influx of fakes that has damaged the reputation of the genuine sellers, who have had to work incredibly hard to gain and maintain customer’s trust online. Legitimate online dealers know just what an enormous amount of faith they are asking people to put in them and their products, and so the best ones make it as easy as they possibly can. Transparency is key when you are choosing who to buy your pre-loved Rolex from. The best retailers are as open as possible with all the information you need to make an informed choice, displaying detailed descriptions on their websites along with comprehensive images of each watch. They will have qualified experts on staff to address any questions or concerns customers have, either over the phone, by email, or in person if they also have a bricks and mortar premises. As further security, the top pre owned Rolex platforms employ certified Rolex watchmakers to service and repair models before they are offered for sale, using only genuine parts, and then furnish each one with a guarantee of authenticity. Finding all this out takes some research on the buyer’s part, but it is one of those situations where the more time you put into seeking out the good guys in the industry, the safer you will be and the more likely you will end up with a gem of a watch. A great place to start looking for advice is on one of the many forums dedicated to luxury vintage watches. Any company website can and will tell you how wonderful and trustworthy they are, but the most candid reviews come from the real people who have already had dealings with them. For online sellers, reputation is everything, and it can only be protected through honest business practices and exceptional customer service. Once you have narrowed down the search, investigate your chosen platform for things like membership of organizations such as The Better Business Bureau, a non-profit body that identifies the credibility of businesses and a great indicator of trustworthiness. We are proud to have been awarded an A+ rating, the highest possible. Also check how long the retailer has been in operation. Online companies, like their offline counterparts, don’t stay around long unless they’re reputable. For us here at Beckertime, 2018 marks our 20th anniversary in business. 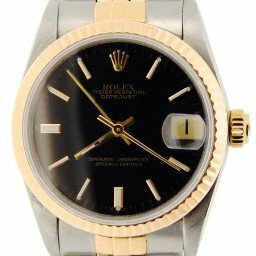 Buying a Rolex online is almost less about choosing the right watch, and more about choosing the right seller. The old adage of ‘buyer beware’ could have been coined specifically for the vintage watch industry, Rolex in particular. 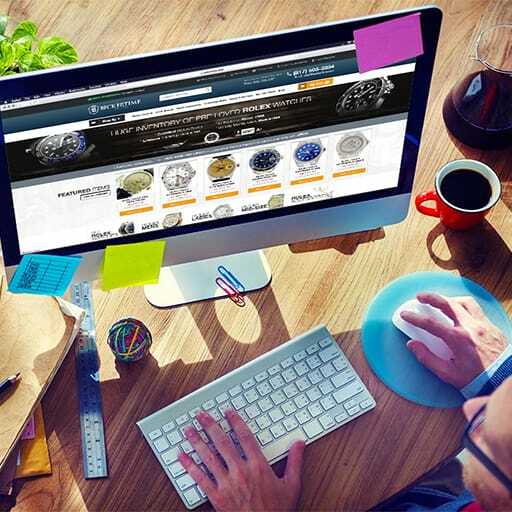 With the number of counterfeit watches in circulation, it is vital you select a vendor you trust implicitly—the internet may have made all of our lives as consumers easier, but it’s exactly that level of convenience that has brought its own problems. Just because you can buy pretty much anything you want at the touch of a button, doesn’t mean you should. And the higher the price of the item, the more careful you need to be. There are most definitely bargains to be had out there, they just take a bit of finding. With the reliability for which the brand is justly celebrated, alongside iconic and timeless designs, buying a Rolex watch on the pre owned market is being seen as the perfect option by ever increasing numbers of people. Officially the world’s most trusted company, Rolex has transcended the status of mere watchmakers and have elevated themselves into the very highest echelons of luxury lifestyle products, sitting at the top table with the likes of Rolls Royce and Tiffany’s. Their watches are the epitome of the word aspirational and their fan base covers the whole spectrum—everyone from anti-establishment artists to the corporate world’s elite yearns to wear a Rolex. While the Smartwatch revolution might be hurting other mechanical timepiece manufacturers, Rolex is thriving. Thanks to the amount of information available online and elsewhere, buyers are becoming more discerning and increasingly well-informed, with an ever greater level of brand knowledge. The esteem the Swiss giant is held in, and the sheer quality of their output, has ensured their continuing popularity, and given us a vintage watch industry filled with stunning pieces at surprisingly attainable prices. The choices in both what and where to buy is higher than ever before, with an almost overwhelming selection available to you and the preowned Rolex market continues to get stronger year on year. When you buy a Rolex watch from BeckerTime, we’ll strive to provide a positive buying experience. We will continue to provide only genuine Rolex watches at affordable Rolex prices that are authenticated by leading experts in the field. Our expert staff will continue to provide the education, customer support, and best selection to ensure that you may enjoy your Rolex timepiece for many years. This highly successful program demonstrates that we believe in the quality of our watches. Ultimately, if you ever want to upgrade to a newer model, a different model, or a different style, you can trade in your BeckerTime preowned Rolex and receive the amount you paid for the watch towards your new purchase. This is a simple way to trade up your BeckerTime Rolex watch. Certain Restrictions apply. Just email us and return the watch so we receive it back within 30 days. BeckerTime’s return policy means the risk is ours, not yours. Our Lifetime TradeUp Guarantee is BeckerTime’s exclusive benefit for qualified items.